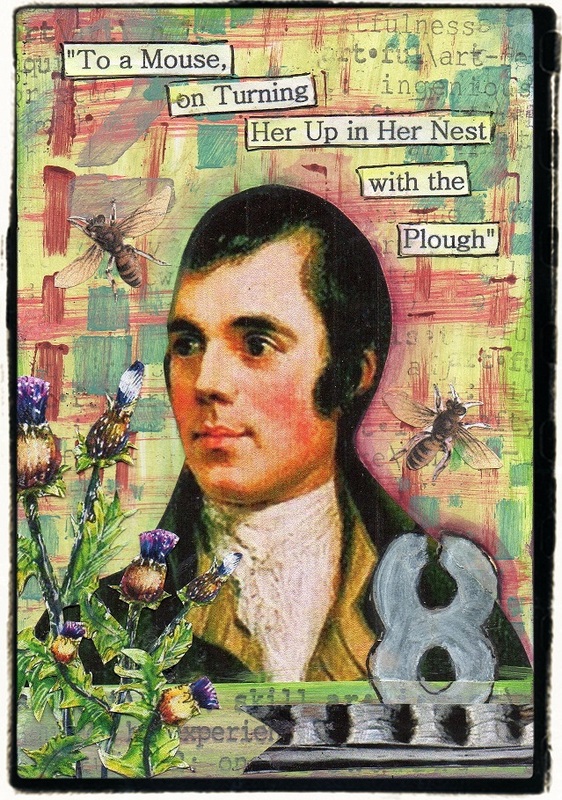 For my postcard, I’ve made my own ‘tartan’ background using paints and have added an image of Robert Burns and some thistles which is the Scottish national flower. And a poetry quote from the man himself. please make your postcard 6 x 4 inches but use your imagination to create a wonderful cDoreation for us all to come and see.